dimisatips.com: DiMisaTips for F10 5 series! DiMisaTips for F10 5 series! Yep, we can do 'em! "I was fortunate enough to get in touch with the staff @ DiMisaTips.com about slapping on some Silver - V3.5 tips on my F10. 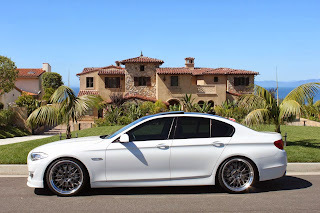 However, like many of us F10 owners, I wanted to go with quads. I always knew about the quality of the DiMisaTips.com from my E9x days. 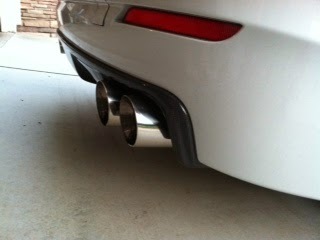 These tips are still "HOT" amongst the E9x family. I picked up 4 x 3.5" DiMisaTips.com for my custom setup. Upon receiving the tips, I was amazed at the build and quality of the tips. Freaking awesome!! Originally I was going to just go with some tips that my muffler shop offered me. But I am glad I went with these tips and not one of the others made overseas. I won't name names in fairness to all the board sponsors out there. 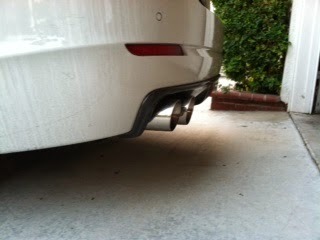 BUT, I slapped the DiMisa Tips on my Magnaflow custom quads and they looked sweeeeeetttt!! To top it off the price was not crazy like all the other F10 parts out there."